THE government has been accused of seeking to "sabotage" a proposed law that would end fossil fuel exploration in Ireland. People Before Profit (PBP) made the claim as it announced a renewed bid to get their Climate Emergency Measures Bill to the next stage of the legislative process. The Bill passed the Dáil in February 2018 but it has since stalled. Richard Boyd Barrett claimed that the government has used Oireachtas procedure to "scupper and sabotage the democratic will of the Dáil and prevent this Bill going where it should have gone to committee." He said PBP's motion this week will seek to "move things on and unlock the log-jam". 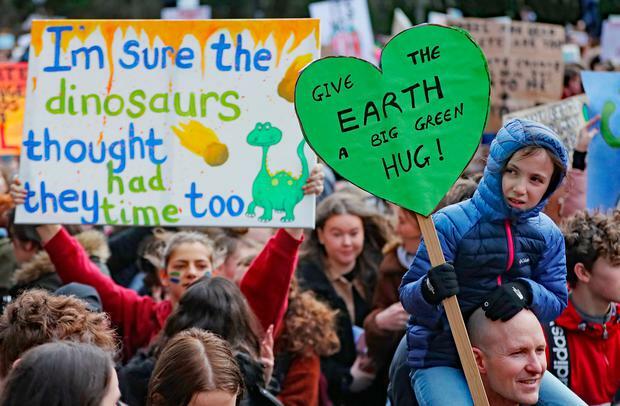 His party colleague Bríd Smith said the slowness of the Dáil procedure is in contrast to the "tens of thousands of young people who are screaming at governments to do something about overheating of the planet", a reference to recent climate action protests. She added: "their first demand is what my Bill contains and that is to keep it [fossil fuels] in the ground". The Bill stalled when it went before the Joint Committee on Communications , Climate Action and Environment where a combination of TDs and Senators evenly split the vote on whether or not to move the Bill onto the next stage of the legislative process. This meant the Bill could not progress. The PBP motion to be tabled in the Dáil tomorrow would see the Bill sent to the Select Committee on Communications , Climate Action and Environment which only includes TDs and where PBP believe there is a majority for the Bill to progress. Mr Smith said there has been support from other parties for the Bill and she believes Fianna Fáil will support PBP's motion aimed at allowing the Bill to go forward in the legislative process.